156 pages | 23 B/W Illus. 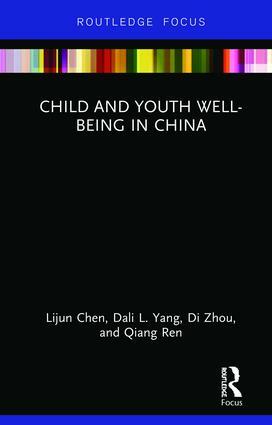 "The well-being of youth in China is a critical issue for the future of China and the world. Despite the miraculous rise of the Chinese economy, most children from rural backgrounds are still raised in a very challenging environment, and their human capital is not sufficiently developed. This book provides a comprehensive analysis of this issue and will likely have a huge impact for policy consideration." -- James Jianzhang Liang, Ph.D., Co-founder and Chairman of Ctrip. Lijun Chen, Senior Researcher, Chapin Hall at the University of Chicago, USA. Qiang Ren, Associate Professor of Sociology, Co-PI of CFPS, Peking University, China. Dali L. Yang, William C. Reavis Professor of Political Science and the College, the University of Chicago, USA. Di Zhou, Ph.D. Student, Department of Sociology, New York University, USA.